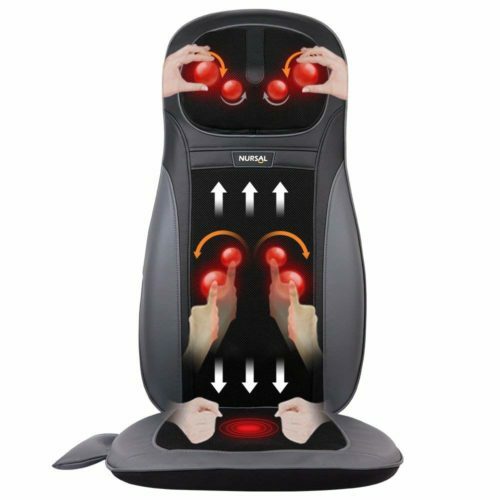 MULTI-FUNCTION FOOT MASSAGER: This professional foot massager has 5 different function keys with 3 massage modes, 3 selectable time modes, low medium and high strengths and heat function. 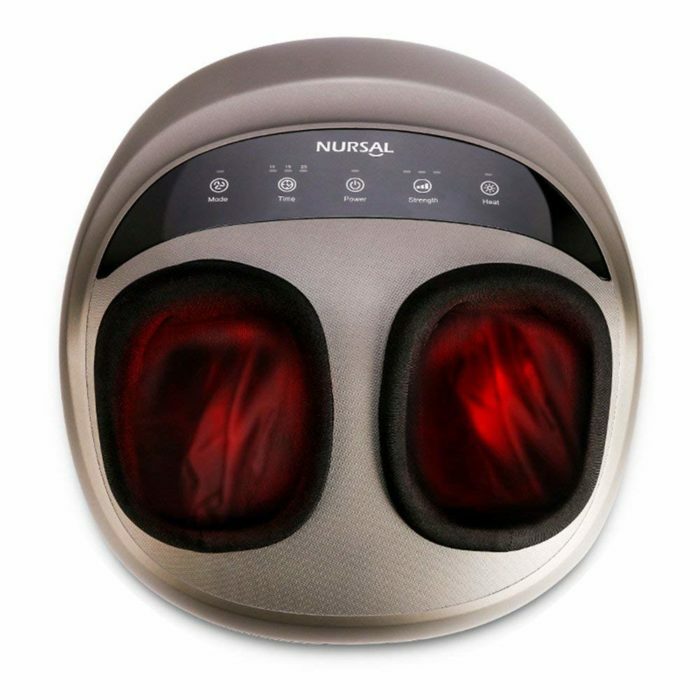 This massager will provide wonderful relief to your tired feet, ease tensions and improve blood flow to all parts of the foot. SELECT YOUR DESIRED TIME: The auto-off timer can be to 10, 15 or 20 minutes. 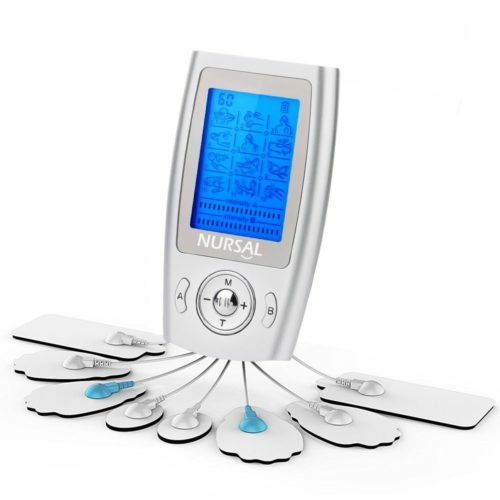 Using one or two times per day for 5 to 20 minutes can relieve pain, soothe your tired feet and improve blood circulation. 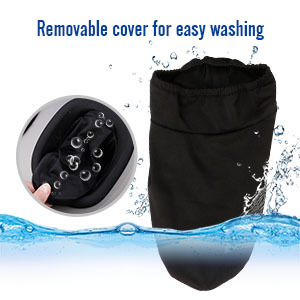 REMOVABLE & WASHABLE COVER: The cloth cover of this massager is removable for easy washing. 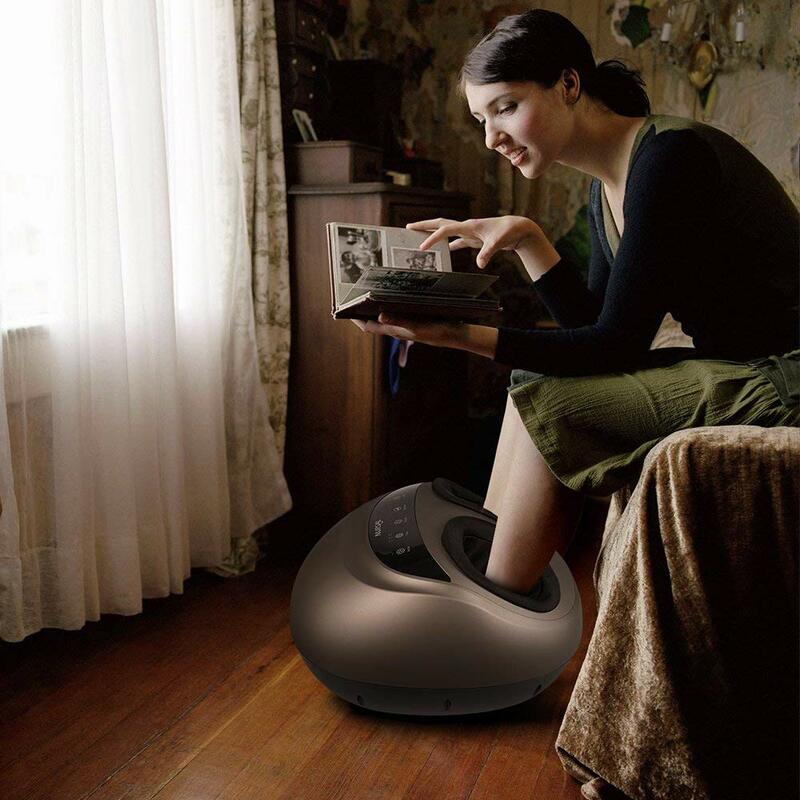 It fits up to size 12 feet and is designed to fit most feet, however, it may not be suitable for people with oversized feet. 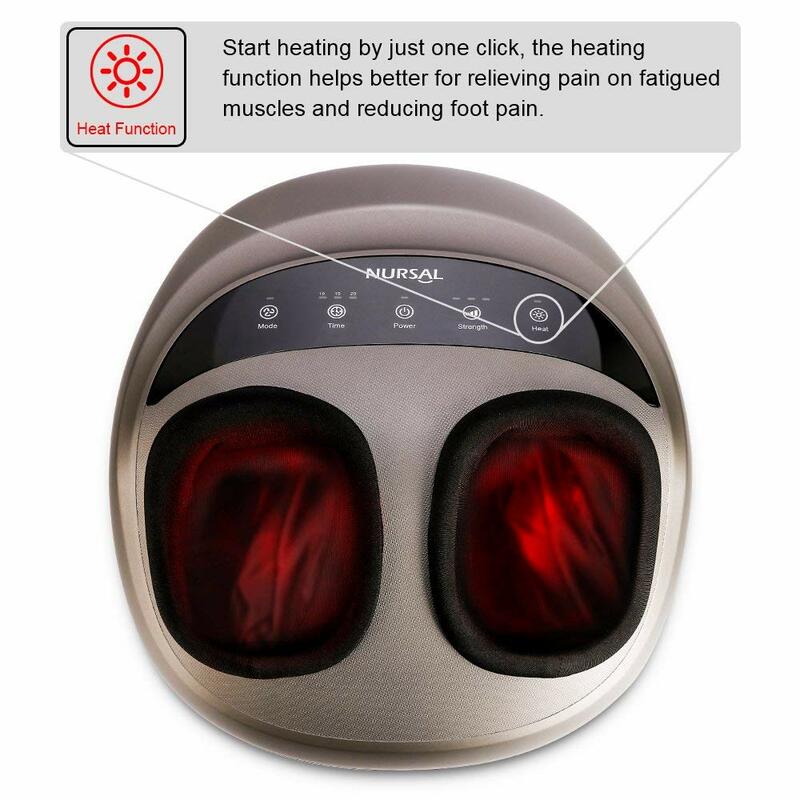 SWITCHABLE HEAT FUNCTION: The NURSAL foot massager’s heat function helps greatly with relieving pain on fatigued muscles and reducing foot pain. It’s easy to start with just the click of button. 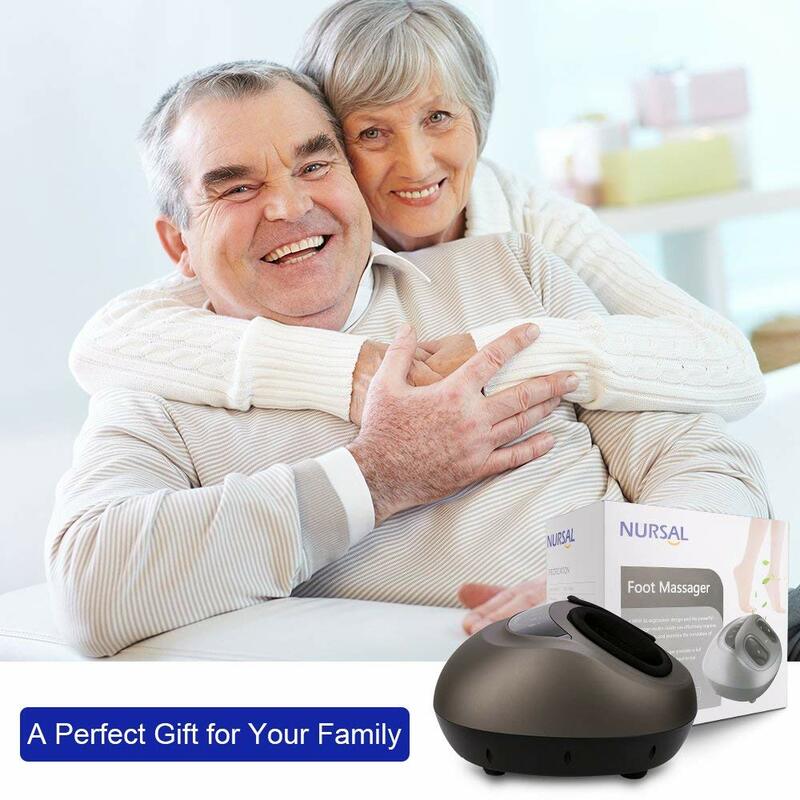 THE PEFECT GIFT FOR YOUR LOVED ONES: Whether it’s a birthday, anniversary or mother’s or father’s day, this is a wonderful gift that your family and friends will truly appreciate. 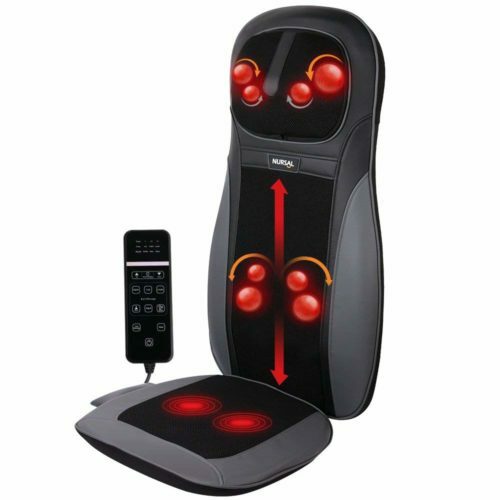 This amazing massager is the only thing they need to ease tensions and relieve foot muscle aches & pain. Based on the principles of human engineering, unique design and the distribution of acupuncture points, it meets the demands of your foot according to its structure. 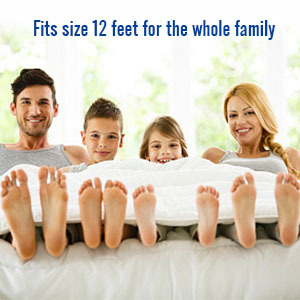 Fits up to size 12 feet and it is designed to fit most feet, however it may not be suitable for oversized feet. 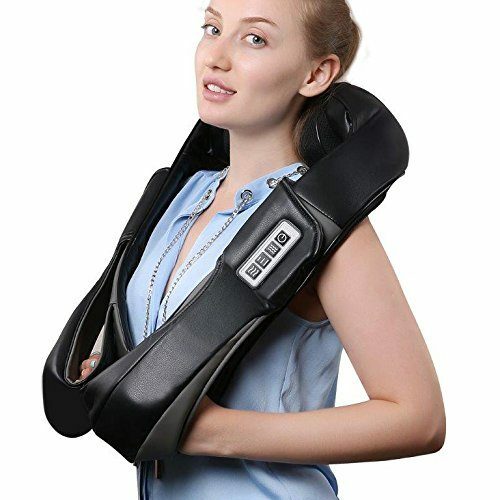 The cloth cover of this massager is removable for easy washing, which can keep massager hygienic when sharing the massager with other family members. With removable, washable fabric cover, you can count on easy unit care and maintenance to get better use experience. 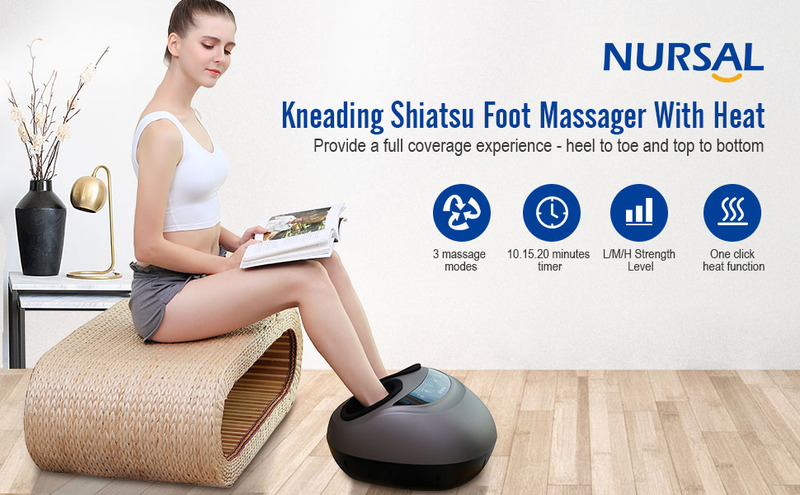 NURSAL Professional Kneading Shiatsu Foot Massager provides a full coverage experience – heel to toe and top to bottom! Apply a foot massage from 5 to 20 minutes before sleep can effectively improve sleeplessness and increase the quality of sleep. 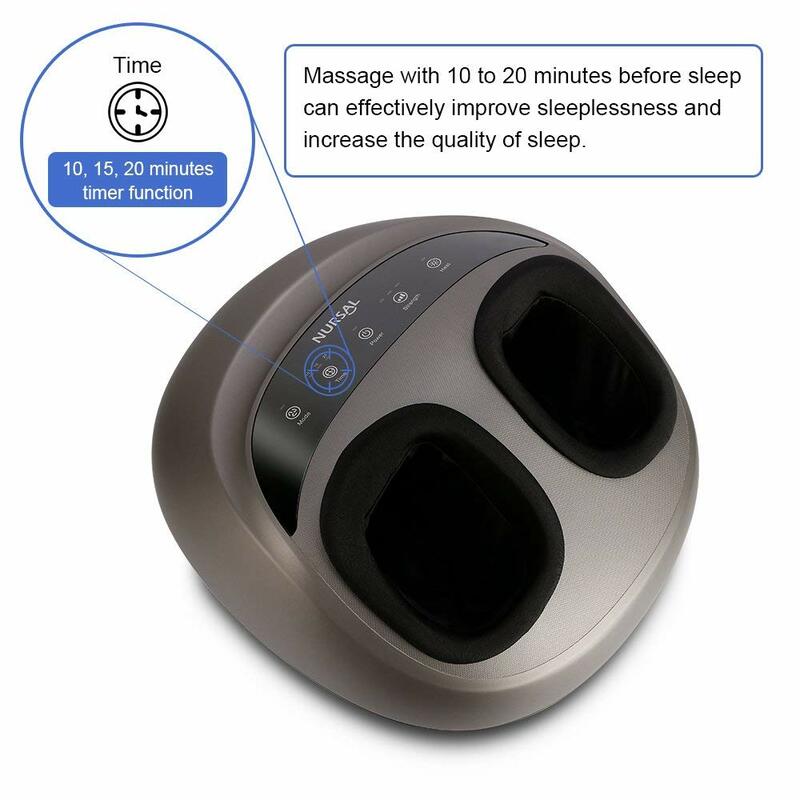 * 3 selectable auto-off times: 10, 15 & 20 minutes. * 3 massage strengths: Low, medium & high. 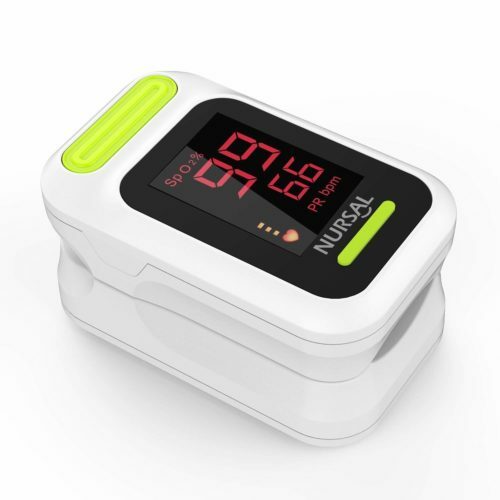 * Controllable heat function: Easily start heating with just one click. 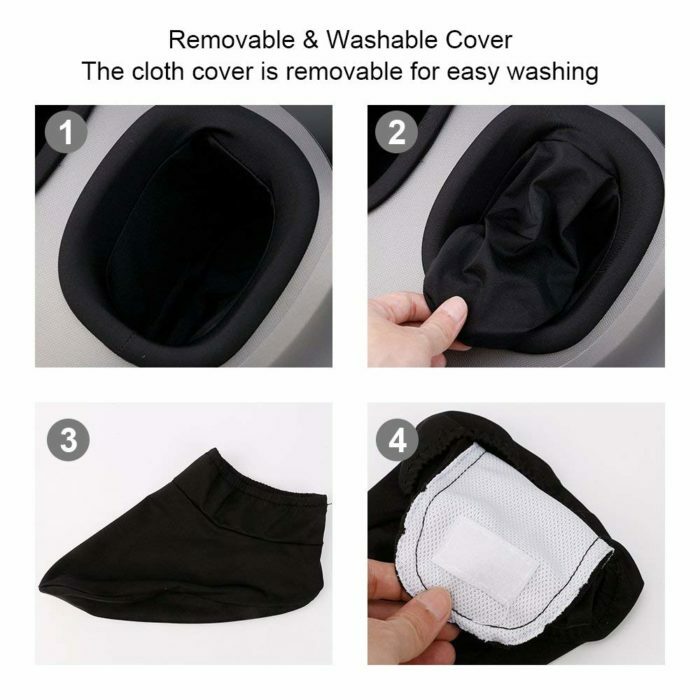 * Removable, washable cover: Easy to remove and wash for long-term use. 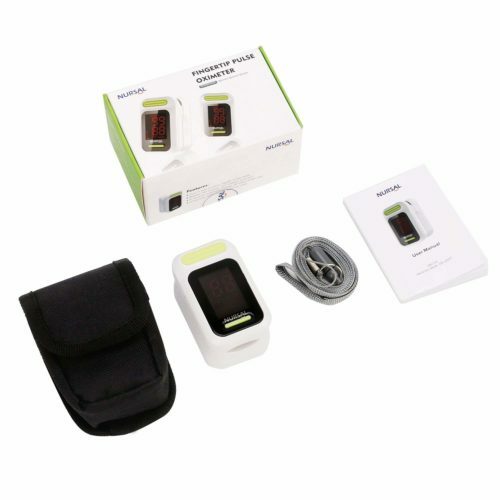 Question: How well does this product work for the heel? Answer: It works well for the heel. 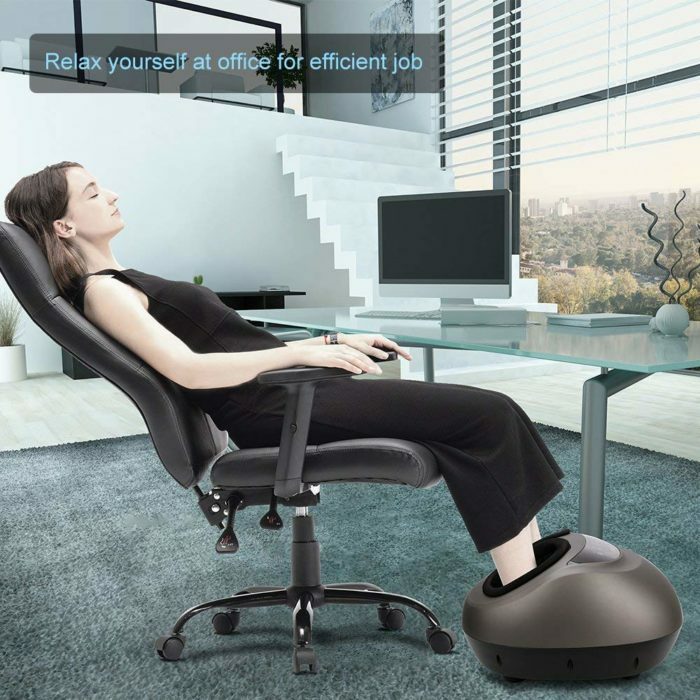 It works well for the whole entire foot. Answer: Im a size 10, and there was still plenty of room. So you should be fine. Hope this helped. Question: Does it massage the sides of the heel? Answer: Yes, but not as high as to reach to the ankle. Question: How much does it weigh ? Question: How well does it heat up? Answer: Doesn’t heat up – luke warm at best. Question: Does this massage in the arch? If so, how is the pressure? 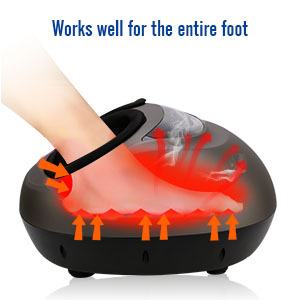 I bought this for my husband who always complains of his feet hurting. He is athletic and often has tendon issues and sprained ankles due to problems with his feet. I bought this for him when I saw that he routinely squeezes his feet for relief. He says this machine is a lifesaver. 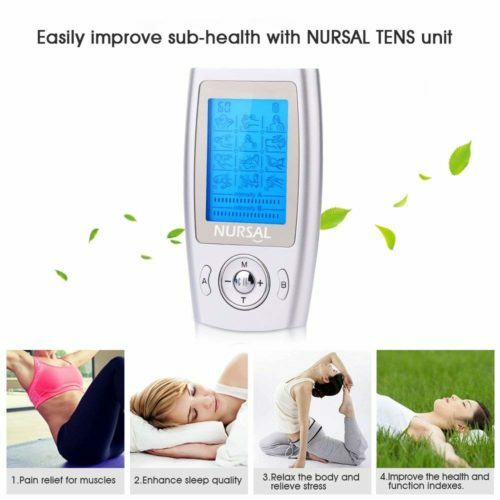 He uses the machine 1-3 times a day depending on how bad he is. 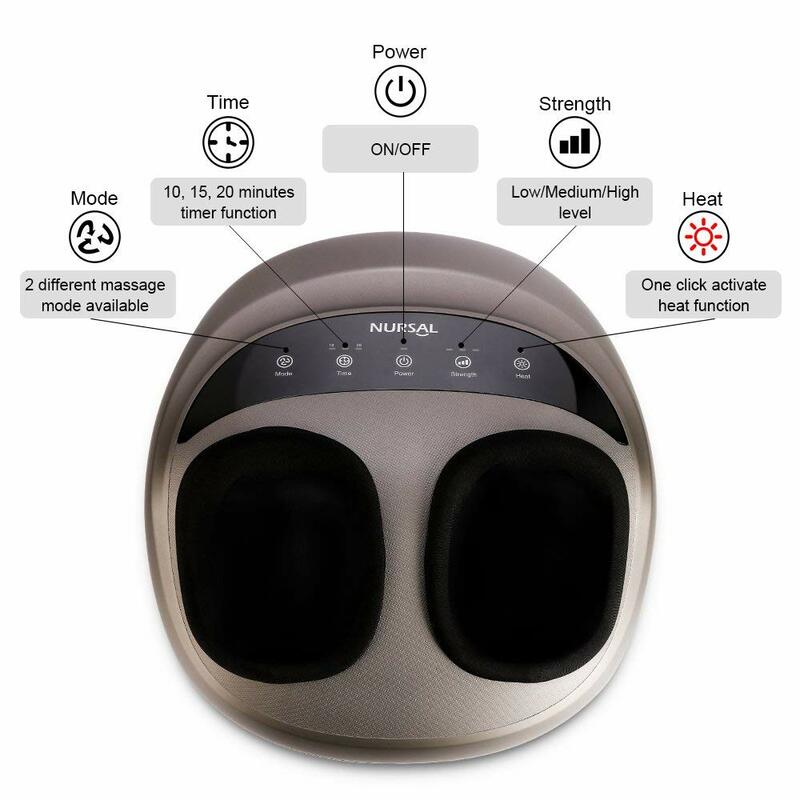 The compression in combination with massage is the key. Level 5 is too intense for me I can barely handle level 3 but my husband uses level 5 most if not always. Definitely worth the money!! !